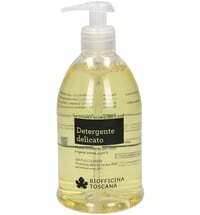 This shampoo concentrate by Biofficina Toscana is rich in active ingredients and has a high cleansing power. 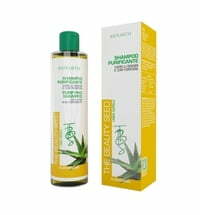 It is particularly suitable for oily hair as well as those suffering from hair loss. 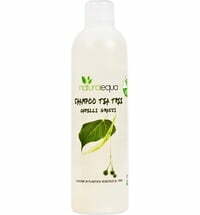 A special blend of plant surfactants normalizes the scalp, thoroughly cleanses and soothes. 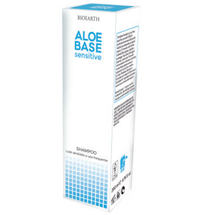 The innovative Alpaflor® Alp-sebum® complex specifically acts as an anti-inflammatory with organic extracts derived from burdock, ivy, juniper and birch. 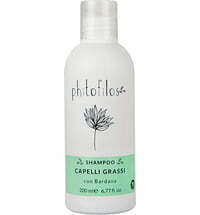 Epilobioum fleischeri (fireweed) soothes the scalp with a particularly high amount of oenotheine B4, regulates sebum production and reduces inflammation. This ingredient is also known for its antioxidant, antibacterial and antiviral effect. 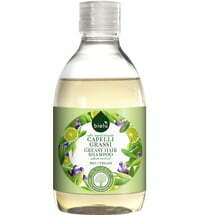 With a wonderfully minty herbal scent. 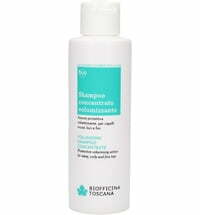 Since this product is a concentrate, it is particularly rich. It is recommended that the concentrate be diluted with water and/or a floral water before using it in the Biofficina Toscana mixing bottles for shampoos. For an optimal care effect, use the Conditioning Balm by Biofficina Toscana after having cleansed the hair with the shampoo concentrate, as the products have been coordinated. 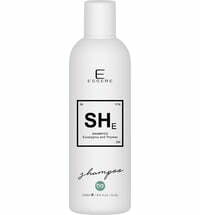 The concentrate can be thinned to more than 3 times the amount of shampoo and is therefore particularly rich and eco-friendly. 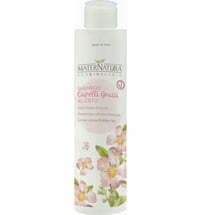 Dilute with water or a floral water and show on the back of the mixing bottle. 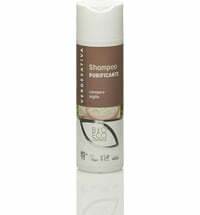 Use a small amount to cleanse the hair - as you would with conventional shampoo. A rosemary hydrosol is particularly suitable as a blending agent. 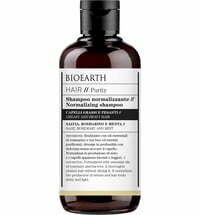 Functional substances: Vegetable surfactants Alpaflor® Alp-sebum®, organic extracts derived from burdock, ivy, juniper and birch, essential organic oils of eucalyptus and mint, vitamin E.
I started dyeing my hair because it was incredibly oily. now because of that, I only have oily roots, the extremities are prone to dryness. controlling the oiliness in the roots is my main goal when looking for a shampoo. 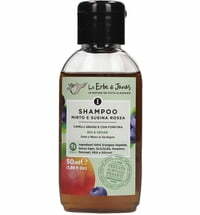 and in those terms, this shampoo achieved the best results until now, considering all the organic vegan shampoos I've tested (most of them from Lavera, which are all terrible for oily roots). still, its fragrance is too strong for my taste. it gives a little bit of extra volume to the hair, but leaves it lacking shine. my hair was shinier before I used it. not bad, but still not enough. Review of free sample. 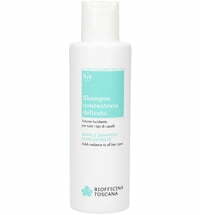 This shampoo did an excellent job removing all product residue, it totally reset my hair. I read the instructions to DILUTE the shampoo concentrate after using it and I did not apply any conditioner after washing, so I really expected the worse (desert dry hair). Much to my surprise, the opposite occured. My hair was shiny and soft, but ultra light and fluffy, like baby hair. The baby hair texture remains so I will need to add some protein to give my fine hair some body again. The mint scent is refreshing and was hardly noticable the day after washing, which I like. 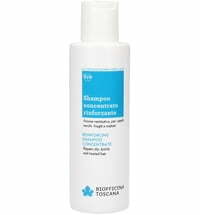 Despite having a sensitive scalp, I did not experience any irritation. 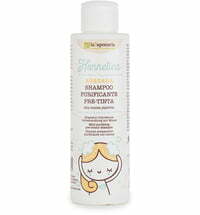 The shampoo did not reduce the oiliness of my hair, but I only used it once. 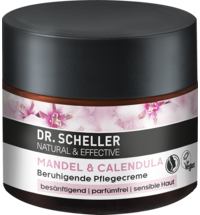 I will probably purchase this product to clarify my hair once or twice a month, but this time diluted and followed by a good mask.